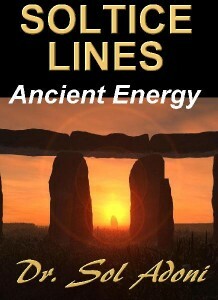 The work of Dr. Sol Adoni in his recent book SOLSTICE LINES is an amazing connection to how ancient Solstice Lines were used to seed human civilization around the world. The ancient sites that line up to only two Solstice Lines on a world map are a virtual ‘who’s who’ of paranormal ancient sites around the world. Over 30 major ancient archaeological sites that have baffled humans for millennia show ‘something’ coordinated the locations of ancient monuments and ancient cities to be on only two major solstice lines around he world.